Can You Make WordPress HIPAA Compliant? Home » HIPAA Compliance News » Can You Make WordPress HIPAA Compliant? 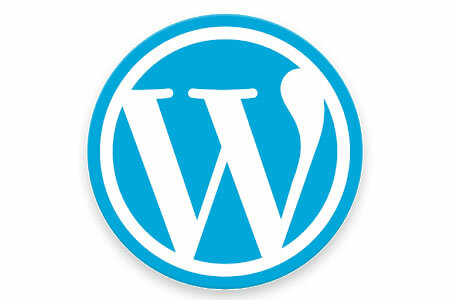 WordPress is a convenient content management system that allows websites to be quickly and easily constructed. The platform is popular with businesses, but is it suitable for use in healthcare? Can you make WordPress HIPAA compliant? Before assessing whether it is possible to make WordPress HIPAA compliant, it is worthwhile covering how HIPAA applies to websites. HIPAA does not specifically cover compliance with respect to websites, HIPAA requirements for websites are therefore a little vague. As with any other forms of electronic capture or transmission of ePHI, safeguards must be implemented in line with the HIPAA Security Rule to ensure the confidentiality, integrity, and availability of ePHI. Those requirements apply to all websites, including those developed from scratch or created using an off-the-shelf platform such as WordPress. Websites must incorporate administrative, physical, and technical controls to ensure the confidentiality of any protected health information uploaded to the website or made available through the site. Once all the necessary controls have been implemented that satisfy the requirements of the HIPAA Security Rule, the website (and plugins) and all associated systems that interact with the site must be subjected to a risk analysis. All risks to the confidentiality, integrity, and availability of ePHI must be identified and those risks and addressed via risk management processes that reduce those risks to a reasonable and acceptable level. WordPress will not sign a business associate agreement with HIPAA covered entities and there is no mention of BAAs on the WordPress site. So, does that mean that the platform cannot be used in healthcare? A business associate agreement is not necessarily required. If you simply want to create a blog to communicate with patients, provided you do not upload any PHI to the site or collect PHI through the site (such as making appointments), a business associate agreement would not be required. You would also not need a BAA if PHI is stored separately from the website and is accessed via a plugin. If the plugin has been developed by a third party, you would need a business associate agreement with the plugin developer. If you want to use the website in connection with PHI, there are several steps you must take to make WordPress HIPAA compliant. A standard off-the-shelf WordPress installation will not be HIPAA compliant as WordPress does not offer a HIPAA-compliant service. It is possible to make WordPress HIPAA compliant, but it will be a major challenge. You will need to ensure the following before any ePHI is uploaded to or collected through the website. WordPress was not developed to confirm to HIPAA standards so making WordPress HIPAA compliant is complicated. Ensuring a WordPress site remains HIPAA compliant is similarly difficult. There have also been several security issues with WordPress over the years and vulnerabilities are frequently identified. WordPress is not the only problem. Plugins are frequently found to have vulnerabilities and there is considerable potential for those vulnerabilities to be exploited. While it is possible to make WordPress HIPAA compliant, the potential risks to ePHI are considerable. WordPress makes website creation simple, but not as far as HIPAA compliance is concerned. Our recommendation is to develop your own website from scratch that is easier to secure and maintain, host the site with a HIPAA compliant hosing company, and if you do not have employees with the correct skill sets, use a vendor that specializes in developing HIPAA compliant websites and patient portals.